How to find and verify a Chinese business partner? Choosing the right business partner from China is one of the most critical challenges that an importer should meet. It requires not only a lot of time but also a thorough verification of the contractor’s reliability. There are many ways to meet a potential business partner. The most common ones are Internet trading platforms and trade shows in China. 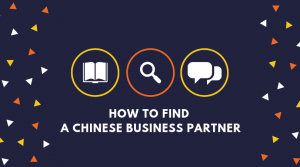 Below we explain how to find a Chinese business partner. How to find a Chinese business partner via the Internet? Many importers look for the Chinese business partner on Chinese B2B portals. B2B (Business-to-Business) is a form of transaction between two businesses, such as one involving a manufacturer and wholesaler, or a wholesaler and a retailer. B2B platforms enable companies to sell their products directly to other companies via the Internet. Finding a business partner via the Internet is very convenient because we can close a deal with a Chinese manufacturer without even going to China. Everything on this kind of websites is in English which makes it easy to communicate with the supplier. On the B2B platforms, we will find a large selection of companies and products. Here’s the list of Internet trading platforms where you can find a Chinese business partner. This B2B platform belongs to the Alibaba Group which was founded in 1999. Alibaba.com is a leading global wholesale trading platform that supports suppliers and buyers around the world. The main goal of the website is to facilitate business operations anywhere in the world. It offers hundreds of millions of products in 40 different categories. Among them, we can find consumer electronics, machines, apparel and many more. You can read more about Alibaba Group here. This B2B portal belongs to Focus Technology Co., Ltd. It was founded in 1996 and it’s an Internet platform for transactions between Chinese manufacturers and foreign importers. On the Made-in-China website, we can gain information about trade, products and suppliers. It offers a variety of products, such as electronics, machines, machine parts, lighting and vehicles. It’s another B2B portal that focuses on trade between China and other countries. It belongs to the company with the same name that was founded in 1970. This platform offers an e-commerce service, as well as specific information about the products sold, which include for example drones, machines and parts, electronics, home appliances and apparel. Through the website, you can also sign up for trade fairs organized by Global Sources where you can meet in person with suppliers verified by the company. It’s a Chinese auction site, created in 2004 for business customers doing wholesale shopping. It offers a wide range of products from small and medium enterprises, such as electronics, lighting, apparel, jewelry and cosmetics. It’s a global marketing portal for Hong Kong entrepreneurs and manufacturers. It belongs to the Hong Kong Trade Development Council. HKTDC mainly focuses on marketing activities, market research and partner associating. It also facilitates international contacts with small and medium Hong Kong companies. On the website, you can find suitable suppliers, use the Business Matching service or the trading platform. Moreover, the Hong Kong Trade Development Council portal provides details about trade fairs taking place in Hong Kong as well as useful information for the visitors. How to find a Chinese business partner on a trade show? Except for the Chinese Internet trading platforms, there are also other ways to find a contractor from China. One of them is visiting a trade fair in China. Participation, both as a guest or an exhibitor, will not only help us meet future business partners but also learn about the newest trends in the industry. Attending a trade show is a perfect opportunity to meet the potential contractors, make business contacts and evaluate offered products. Moreover, considering the variety and frequency of the trade fairs in China, we can suppose that every importer will find a trade show interesting for him. Besides, most of the trade fairs in China is explicitly organized for foreign participants, so dealing with the formalities shouldn’t be a problem. However, it’s important to remember that the platforms listed above don’t take responsibility for the possible frauds. Before undertaking business with the Chinese partner, you always have to take the cautionary measures. Unfortunately, you can meet the Chinese fraudsters even on the trade fairs. They often seem very professional so importers can’t distinguish them from credible suppliers. 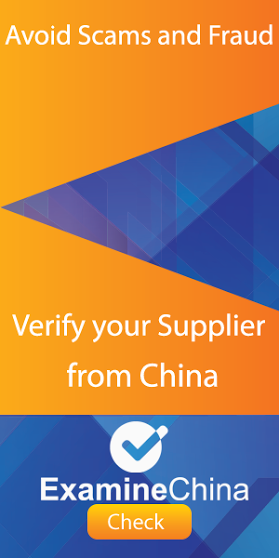 We recommend you verify your potential Chinese partner before closing any transactions to lower the business risk. B2B platforms in China – FAQ 10 facts about Alibaba Group All China Trade Fairs in one place Breaking the Great Wall – „made in China” goes West What Alibaba Gold Supplier really means?